Palm Sunday is the Sunday before Easter that begins the Holy Week. It is the day that we remember and celebrate the day Jesus entered into Jerusalem as Savior and King. As Jesus rode a donkey into the town of Jerusalem a large crowd gathered and laid palm branches and their cloaks across the road, giving Jesus royal treatment. Many churches celebrate Palm Sunday, which is always the Sunday before Easter (see our When Is Easter? article). Maybe your church has children waving palm branches to help them connect to the story. 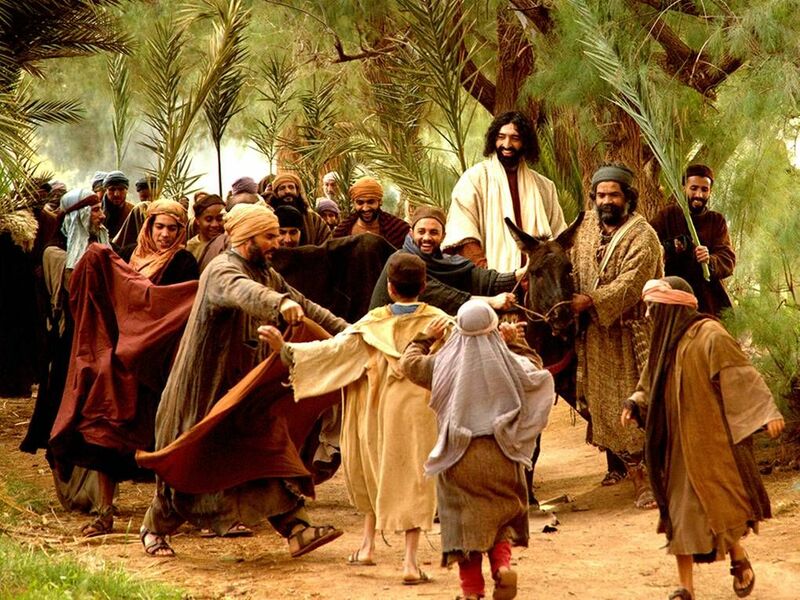 But while this is a triumphal entry, it is Jesus’ first step toward His death. ‘This took place to fulfill what was spoken by the prophet, saying, ‘Say to the daughter of Zion, ‘Behold, your king is coming to you, humble, and mounted on a donkey, and on a colt, the foal of a beast of burden.' *The prophecy is cited from Zechariah 9:9 and Isaiah 62:11. 1. God's Word tells us the people cut palm branches and waved them in the air, laid them out on the ground before Jesus as He rode into the city. The palm branch represented goodness and victory and was symbolic of the final victory He would soon fulfill over death. 4. The Bible says that Jesus wept for Jerusalem. In the midst of the praise of the moment, He knew in His heart that it wouldn't be long that these same people would turn their backs on Him, betray Him, and crucify Him. His heart broke with the reality of how much they needed a Savior. 5. Palm Sunday reminds us that the reign of Christ is far greater than any the mind of man could ever conceive or plan. Man looked for someone to fight their battles in the present day world. Yet God had the ultimate plan of sending His Son to fight the final battle over death. This is the greatness of why we celebrate this week. Because of Christ's ultimate sacrifice, we can be set free of death.